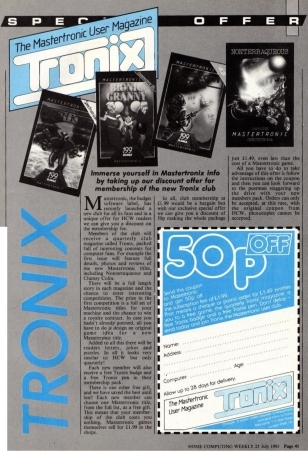 Much thought went into the look of Mastertronic - the yellow on black lettering, the "M" shape used both flat and at an angle, the complex artwork commissioned for many of the early covers - even the decorations of our main offices in Paul Street, London EC2 - were planned to give a consistent "cool" image. 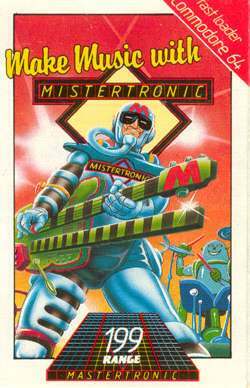 At one time we envisaged Mastersound as a record label, Mastervision as a video publisher and perhaps other variants. But the takeover by Virgin produced a major change as we tried to create a new look blending in with the old Virgin Games designs. 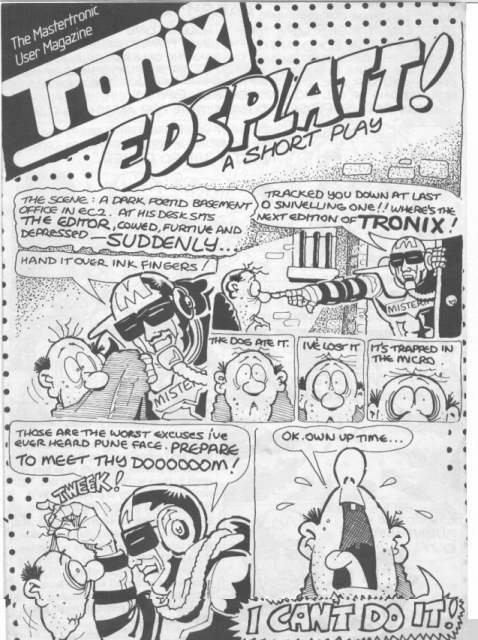 The Tronix Club was intended to build support for the brand and provide a mailing list of customers. 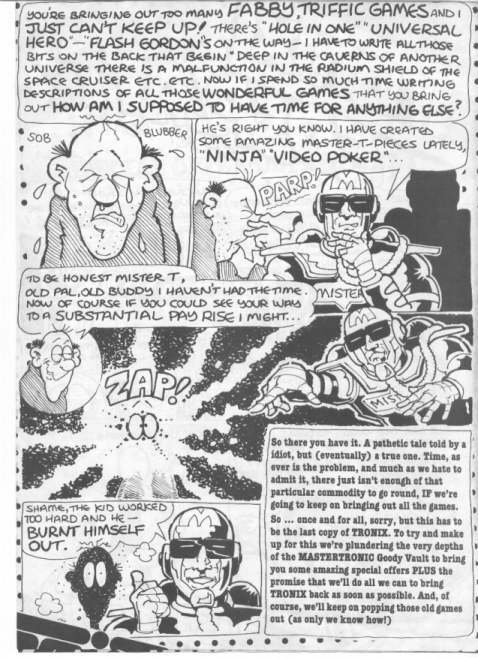 The Club was launched in July 1985 but the only advertisement for it appears to be one in Home Computing Weekly. 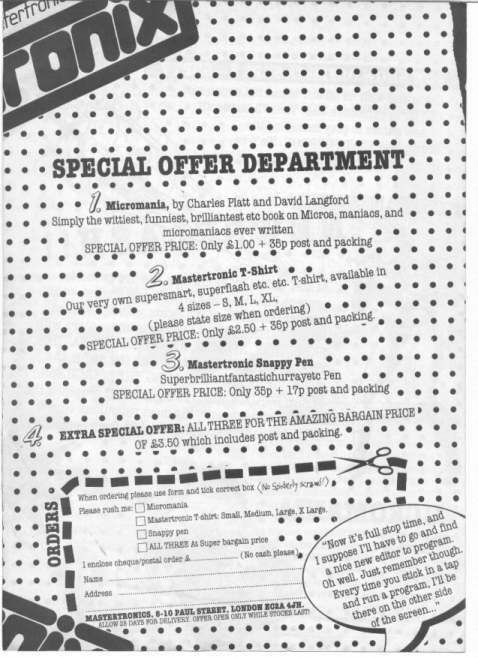 Click here to see this ad full size (and a nice reader's letter praising the club). 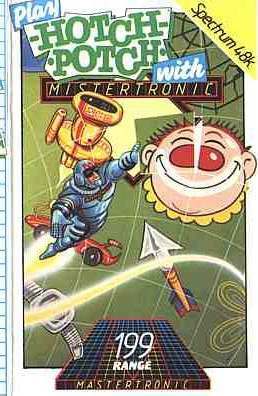 Members got a free game and the promise of a regular magazine and other goodies.The Tronix Magazine was short-lived. I think we only managed two editions before we abandoned the Club. There was no-one in the Company with the time (or the interest) to keep it going, and probably there were not enough members to make it commercially worthwhile. 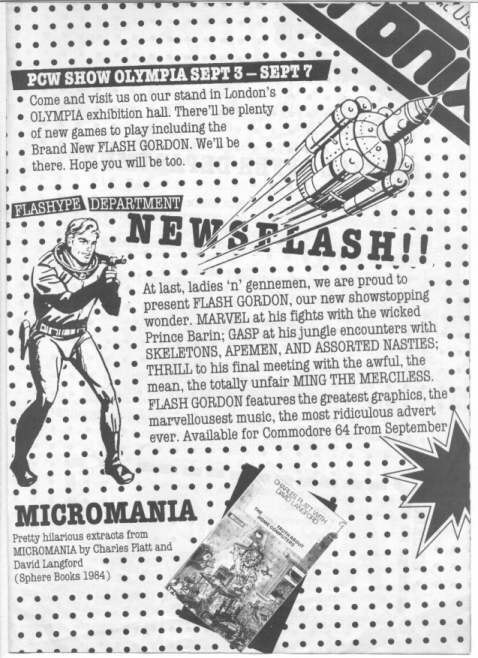 Here are scans of the whole of the second, and final, issue, published in August 1986. Does anyone have the first?? 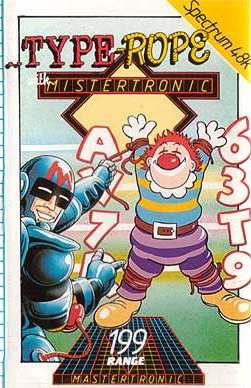 The chief interest is that it uses the character of Mistertronic, also featured on four early games, Type-Rope, Hotch-Potch, Walk the Plank and Make Music. All four covers are reproduced here. Many thanks to Richard Burton for supplying Make Music.